NOTE: As of August 3 the deployments are expected to continue through the month as more material continues to become available. 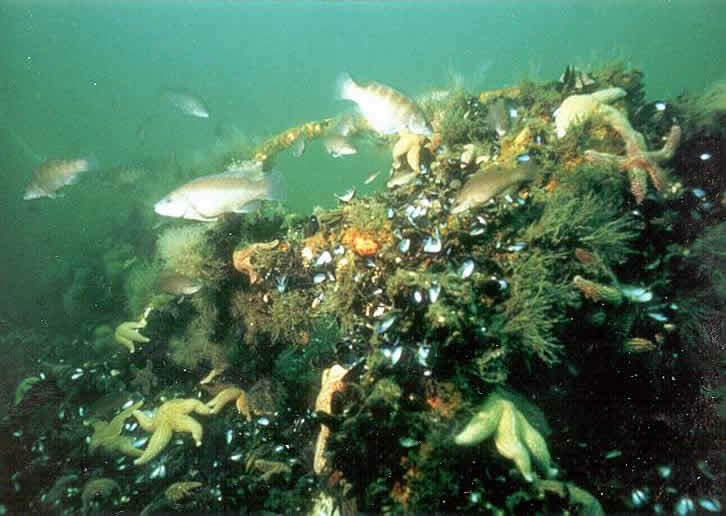 The Sea Girt and Axel Carlson Reefs, located offshore of Monmouth County and part of the NJDEP Division of Fish and Wildlife's Artificial Reef Program, will receive 4,631 yards of concrete rubble from a seawall. 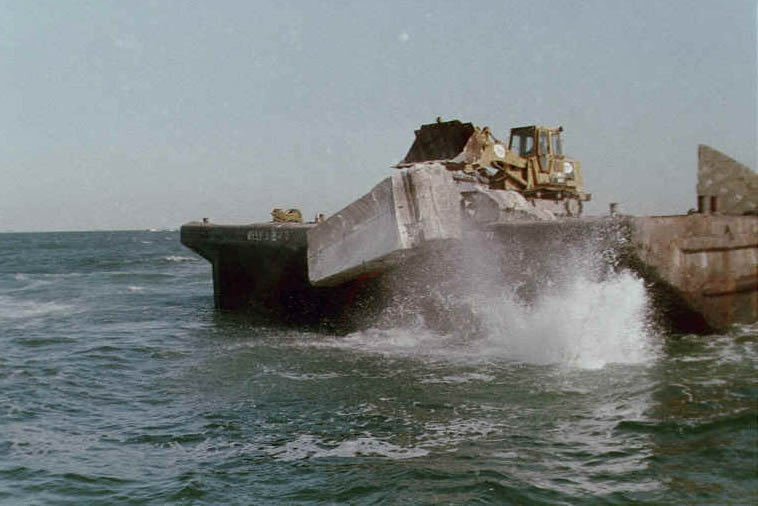 The Axel Carlson Reef will receive two loads totaling 1,853 cubic yards and the Sea Girt Reef will receive three load totaling 2,778 cubic yards. 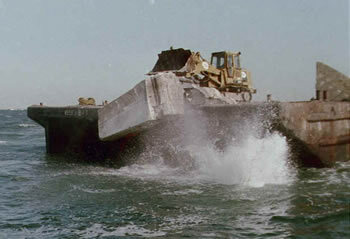 The concrete pictured below came from a similar project with rubble that occurred on the Ocean City Reef in 2002. 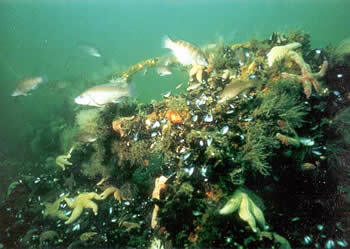 Commercial fishers who have gear in this area during the time of deployment must move it or risk having it destroyed. The deployment schedule is subject to weather and sea conditions. For further information contact Hugh Carberry at 609-748-2022.